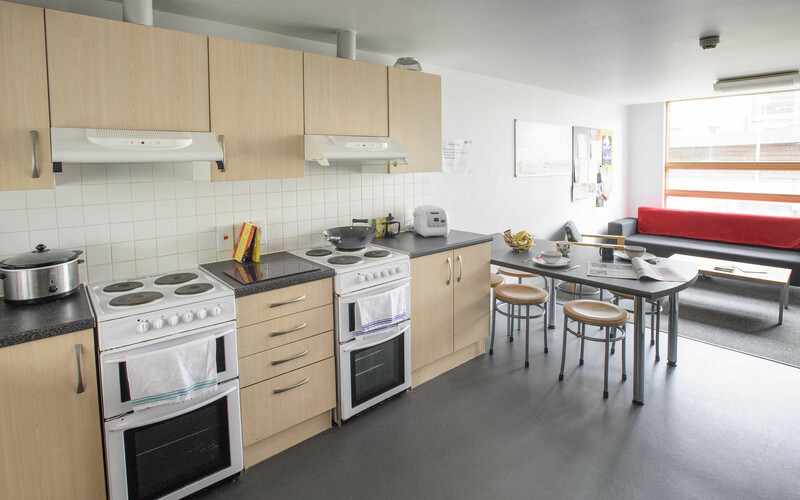 Make a home for yourself in this Frenchay Campus accommodation option, the Student Village, and you’ll be joining a vibrant community of nearly 2,000 students. Consisting of four courtyards (Brecon, Cotswold, Mendip and Quantock), the Village is mostly made up of flats for six sharing, with standard en-suite single rooms, with a few five bedroom flats with larger (superior en-suite) rooms. Situated by our north entrance on Frenchay Campus, you’ll be a short stroll from lectures, the library, Students’ Union and all the other campus facilities. Standard en-suite - single bed, wardrobe, desk, chair, bookshelves, bedside cabinet, mirror, en-suite wet room. Superior en-suite - all the above, plus a larger desk space and bigger en-suite. Kitchen with two cookers, microwave, kettle, two fridge/freezers, bins, storage cupboards, ironing board. Living area with breakfast bar, stools, sofa and easy chairs. Other features Customer service desk open 24 hours, onsite staff to help with any issues. Student Village, UWE Bristol, Coldharbour Lane, Frenchay, Bristol. Your postcode differs depending on which court you’re in – see the Student Village guide. If you'd like to make the Student Village your new home, find out how and when to apply.